Are you a piano player who dabbles on accordion but would like to learn to really play it — left hand and all? 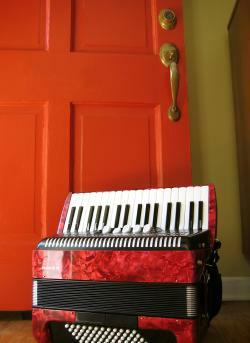 Did you take accordion lessons in the past and keep meaning to get back into them “one of these days”? Or maybe you just want to learn a unique, versatile, and fun musical instrument? I am currently accepting students for accordion lessons in the Nashville area. My current rate is $35 per 50-minute lesson. Beginning students get a free accordion book with their first lesson! Lessons can be weekly, biweekly, or even monthly, depending on what best fits your schedule and musical goals.for details!